Concerned DNA Issue of Hello Kitty’s Family!? 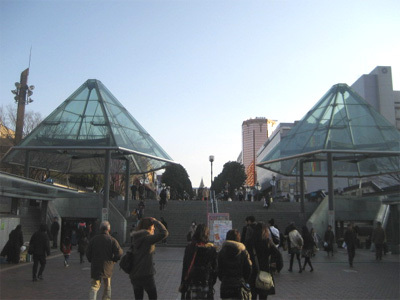 In Tama New Town, Tokyo, there is a indoor theme park called “Sanrio Puroland” featuring Hello Kitty. 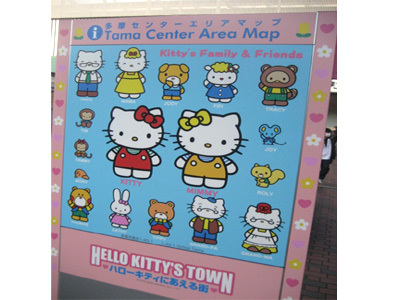 One step inside takes you to the town of Hello Kitty. Click HERE to read japanstyle’s previous article about “Sanrio Puroland”. 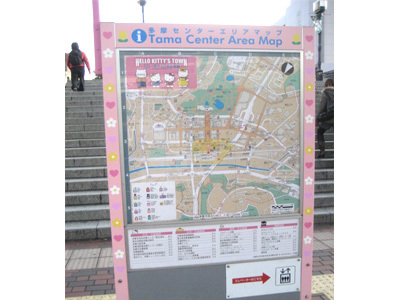 There are area maps in the park. Hello Kitty’s family and friends are introduced. Look at the family members. There is something that concerns us. 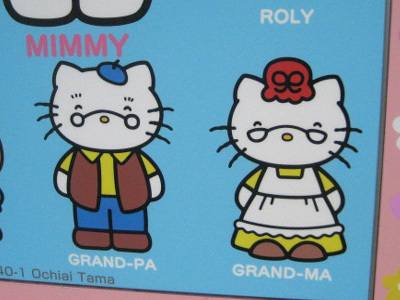 Hello Kitty’s family has high rate of glasses! 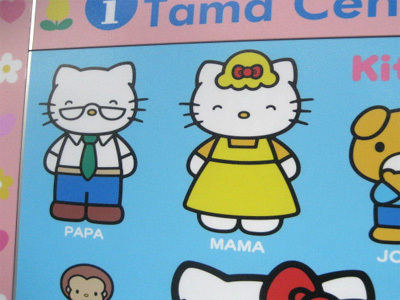 What if Hello Kitty inherits bad eyesight from the family and has to wear glasses? Hello kitty goods are going to be re-designed like toilet seats and golf balls.